The Aborted DOCTOR WHO Animated Series | Warped Factor - Words in the Key of Geek. Christopher Morley looks at the attempt made in 1990 to produce an animated Doctor Who series. Let us pilot our TARDIS into the Land of Animation, as we look back at Nelvana's planned Doctor Who series! 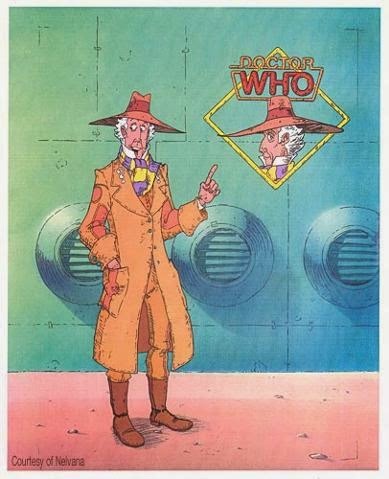 Although not widely reported, after the end of Classic Who with Survival in 1989, the BBC wasted no time in approaching the Canadian studio with a view to bringing the Doctor back to our screens in cartoon form the following year as a reboot/continuation of the live-action series. Part of the brief was that a new Doctor was required, in an unspecified incarnation but combining elements of the men he had been before. 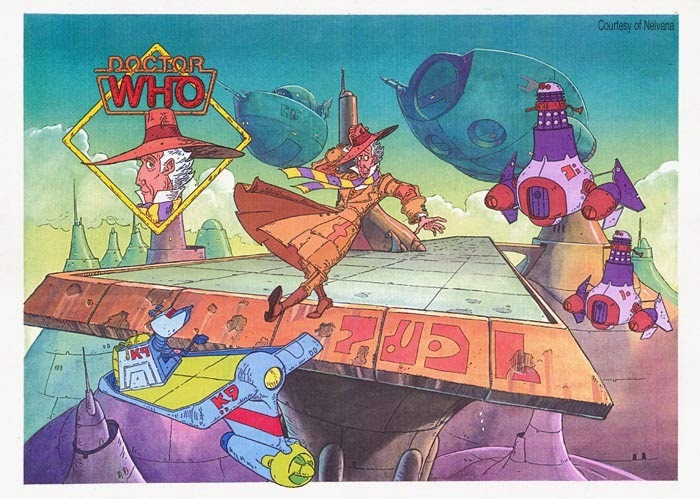 Concept art was worked up in a bid to determine the look of the Nelvana Doctor- the surviving images from the planning stage of things seems to depict him as a cross between Christopher Lloyd & Tom Baker's Fourth Doctor, though its suggested Peter O'Toole & Jeff Goldblum were among a list of alternative models for the redesigned Time Lord, who would have been accompanied by female companions from Earth. "We went through a lot of development on it, then we were scripting and storyboarding it and about 4 scripts had been written. It happened really fast." Among these developments were rejigs for K-9, Bessie, the Daleks & the Cybermen. It would appear the BBC got cold feet after being contacted by an unnamed British studio, who said they could do the job at even lower cost- Bastien saying "It was pulled out from under us". 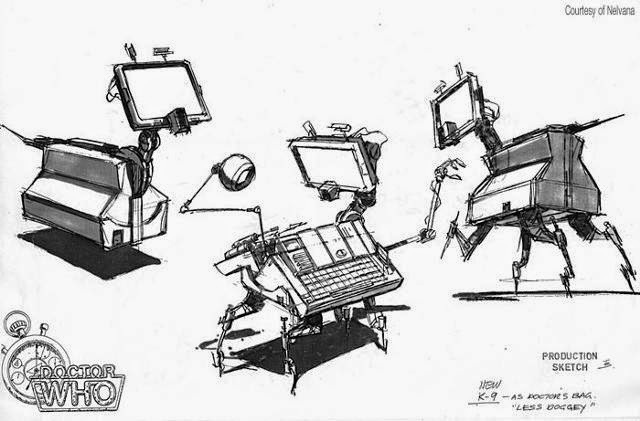 Sadly, there appears to be no details with regard to scripts, but you can see plenty more examples of original Bastien artwork connected to the proposed series with a simple Google search. But what say you? Would you have watched an animated Doctor Who? Would you like to see one happen now? Let us know in the comments below.